SECOLAS will host its 63rd annual conference at the Hotel Caribe in the Bocagrande neighborhood of Cartagena de Indias, Colombia. We have reserved a block of rooms in the Lagomar and Laguito buildings on the hotel grounds. 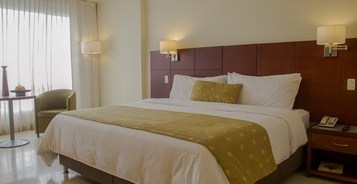 The nightly rate includes breakfast at one of the Hotel Caribe’s various restaurants. Send your information via email to Ms. Claudia Lorduy, Operating Groups Coordinator at grupos@hotelcaribe.com. Please CC Ms. Gloria Arias, Groups and Conventions Coordinator at grupos2@hotelcaribe.com. Call in your information to Ms. Claudia Lorduy at (+57) 5 6501160, extension 7582. This is not a toll free number. You will need to complete and return the attached form (“Credit Card payment form”) to Hotel Caribe to hold the reservation. Be sure to note you are part of the SECOLAS conference. Please do not hesitate to contact us if you have any questions or concerns here.